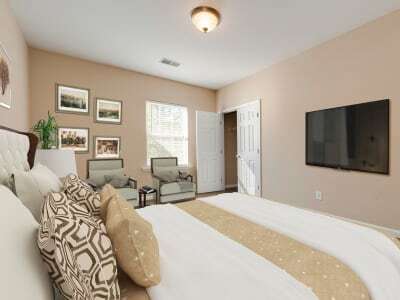 Live well and rest easy at The Waterway Apartment Homes, in Lexington, SC. 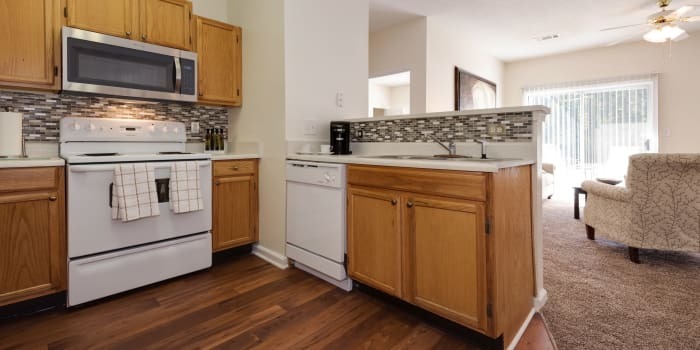 Whether you are searching for a charming one-bedroom for you and your pet or an expansive three-bedroom home for the whole family, we have the right-sized space for you. Featuring clean design lines, soaring nine foot ceilings, and plush wall-to-wall carpeting, our living spaces are the perfect complement to your unique aesthetic. The Waterway Apartment Homes are designed to inspire your unique and modern Southern lifestyle. Each of our spacious floor plans is designed with you in mind. With a full-size in-home washer and dryer, you can always keep your wardrobe looking fresh and clean. Your kitchen is fully furnished with premium appliances including a convenient electric oven and a timesaving dishwasher. In the mornings, enjoy your coffee and morning mealtime at your charming breakfast bar. Floor Plans Ranging from 798 – 1,345 sq. ft.
For inspired Southern living, make your home at The Waterway Apartment Homes. Call today to schedule your tour of our Lexington, SC, apartments for rent.